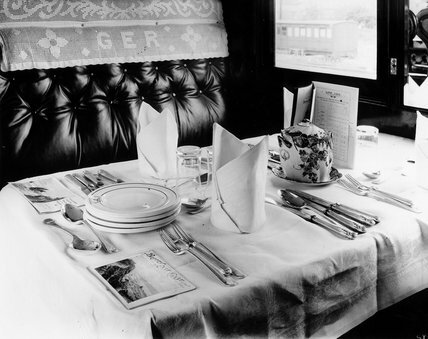 GER First Class dining car, 1912. Antimacassar on upholstered leather seat is embroidered with 'GER'. Table is laid with china and silverware bearing the GER logo. Promotional holiday literature has been placed by each setting advertising rail services to the East Coast.